The next-gen of hybrid is now here with Tribrid backup. Tribrid backup introduces 3 storage types; Instant, Cold and Local Storage, where businesses can select where to backup each data type and inCloud Backup handles the rest automatically. InCloud Backup’s encrypts your data before it leaves your machines with military level 256-AES encryption, transferred to the secure and reliable Amazon S3 servers using 256-AES encryption and stored on 256-AES encrypted Amazon S3 servers. This level of security complies with all laws and regulations for safely processing, transferring, and storing data such as Sarbanes-Oxley Act, HIPAA, PHIPA, PCI-DSS, GLBA, FISMA, and the Joint Commission. 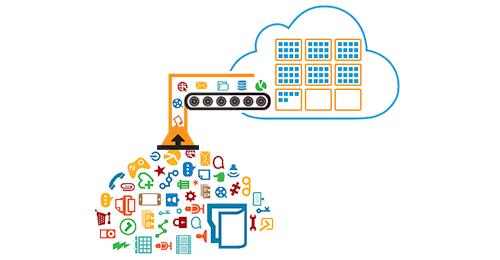 InCloud Backup uses the enterprise level, secure and reliable Amazon S3 Data centers. Your backups are duplicated and stored over multiple facilities across the globe ensuring on-demand data availability. All major computation is done on the back end cloud; offering smooth backup and minimum performance impact on your side. Our powerful, lightweight file browser allows you to view image previews of all your RAW camera and jpeg images, instantly search all your files, share with ease, and more. You can also drag-drop to upload any files or folders anywhere and create new folders. With InCloud Backup’s innovative Cold Storage, you can instantly backup all your rarely accessed files for cheaper than storing on-premises; 100GB for only $3/mo! Your files will be stored on the secure, reliable, and durable Amazon AWS that requires 3-5 hours restore time or Zero restore time with Hybrid+. Once your files are ready to be downloaded, you will receive an email to restore. 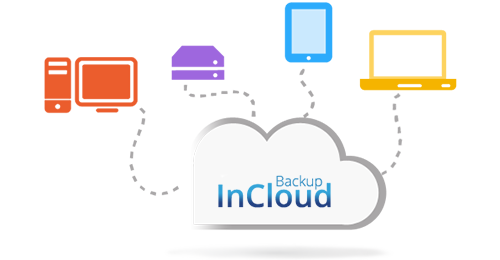 InCloud Backup offers Copy, Encrypt and Ship to handle big data and accelerate the backup process. Just use an easy to use utility to copy and encrypt your data on your external media and ship it to us. Your files will be processed with zero knowledge to our data centers. You can use this service at anytime whenever you need to add more files. At any time, initiate restoring files to any computer from your centralized web console. inCloud Backup restore client will automatically restore the file to the original or an alternate location based on your preferences. inCloud Backup simplifies the process of migrating your users to the system. With Deployment via Active Directory, you can have your entire company’s backups running in no time. If your team is globally distributed, just send simple email invites or import a CSV file into inCloud Backup management console. All files are checked for Machine level and organization level deduplication to ensure faster backups. Block level backups are taken for large files, and file retention is done either by number of days or number of versions. You can also limit for each user the amount of storage used. You can either allow your power users to configure their entire backup or configure everything for them. inCloud Backup enables you to set policies to specific users; specify the backup selection, backup settings, storage limit, encryption password, privileges, and more with an easy to use policy manager. There is no need for a dedicated IT administrator, the system is simple and easy to use and any changes will be pushed to the clients instantly. Retired computers can be archived with ease and users can be suspended, activated, or deleted. 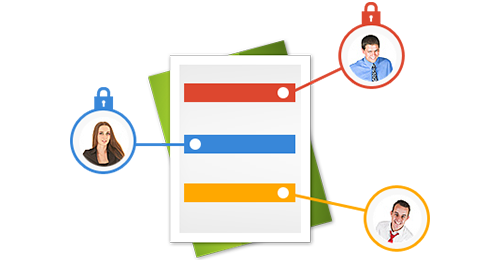 Multiple Admins can be assigned to the console for easier control and access. With InCloud Backup, you can backup computers, laptops, netbooks, Windows Servers, Mac computers, and any external or network storage attached to your computers. InCloud Backup protects it all. On a home computer or mobile device? No problem, open InCloud Backup web to access your backed up files and share securely with your collaborators. InCloud Backup supports all Windows based servers and the administrator has the option to deploy to servers policies or configure the backup directly on the server machine. With enterprise level reporting, you can see where every client is located across the globe and even check the bandwidth usage of each user. Expand your storage, user, and server needs instantly as your plan upgrades on the spot. There is no need to purchase anything for the future, just purchase what you want, when you want it. InCloud Backup supports on-the-fly encryption and decryption of your files, if you wish to edit an encrypted file, just type in your password and the file will be available for editing on Google Docs or for mobile viewing. You can also enable password protection for shared files and folders, an expiration date for the download, and a delivery notification when accessed to ensure a safe delivery. With our intuitive on-the-fly decryption, you can access your encrypted backed up files, view photos, play videos and music, share files, or save them for editing and offline viewing.